2017 has been an epic year for the Nissan Nation podcast and who better help Dave relive some of the best parts of the podcast than his pal Jason Hoffman of the Toyota Trucks and Trails show. The guys discuss some of their favorite parts of each others shows and where the 2018 year might take them. Its show 63 and we have news for you to use. The LA auto show is in gear and Nissan released the all new KICKs to the US market. Does this mean the Juke is dead? To dip or not to dip.. That is the question of the day for the guys to chew on. Few people truly leave a mark in this world and thats what Nestor Camacho is going to do. Engineer and few Nissan truck enthusiast Nestor talks us through his conversion of a 2WD Frontier / Navara into a 4wd beast. Its show time and the guys have lots to chat about in Nissan land. Dave and Danny recap a bust month and a half of adventure that included Rogue Overland summer trip, WENtwindrock 2017, Danny's Armada hunt and finally a trip to Regal Nissan in Atlanta. 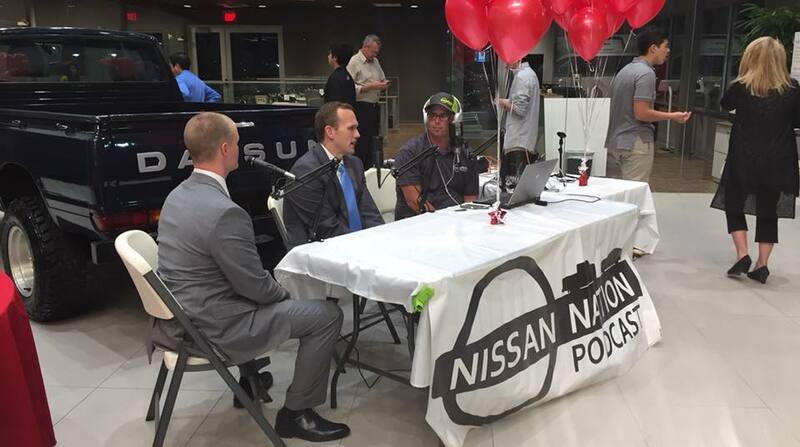 Regal Nissan of Northern Atlanta invited the show to its Grand reopening to explore the 2.0 showroom and talk with some Nissan Executives. While at the store Dave was able to talk with Regals Master tech and discuss GTR's and more.